It is with great excitement that the editors and I bring you our long-awaited inaugural issue of Compose: A Journal of Simply Good Writing! We’ve included a number of special guest contributors alongside some emerging voices, and a variety of pieces to suit every reader. 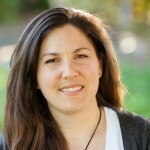 Perhaps on the surface, putting together an online literary journal seems a relatively simple task; however, the challenge is greater than just finding some writing and publishing it. The challenge—if a journal is to be successful—is to go beyond the ordinary, to create something that stands out for its content, design, community, and professionalism. 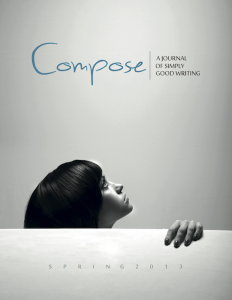 Feedback from our early readers and contributors assures us that Compose is ticking those boxes, and we look forward to building and improving the journal with each issue. Choosing content for the first issue wasn’t as easy as I thought it would be. Some pieces came close but just didn’t gel with the issue as a whole. Others were not quite ready for publication. But what each piece chosen for our Spring 2013 issue has in common is an ability to linger in the reader’s mind. These pieces aren’t just well-written—they make us see the world, relationships, or ourselves, in some new or different way. Do I have favourites? I thought so, but when I tried to name them I realized that I love each and every piece for different reasons. That’s kind of the way I feel about our editors, as well. Our team members come from different backgrounds, have different tastes, and offer different areas of strength, and I appreciate each editor for his/her uniqueness. A big thanks to our editors for all their hard work over the past few months. What a privilege it has been working with them all. Preparations for our Fall 2013 issue are already underway with a couple of confirmed pieces and several submissions under consideration. If, after reading our inaugural issue, you have something you think would be a good fit, please check out our submission guidelines. Between issues, you can keep on top of our news and learn more about literature and the writing life by subscribing to our blog and following us on Twitter, Facebook, Pinterest, and Google+. And, when you decide which pieces from the issue are your favourites, please share them with those you know will appreciate them.